We specialise in both elimination and prevention of infestations. We offer services to cover inside or outside your premises. We do not offer termite and timber pests control services. 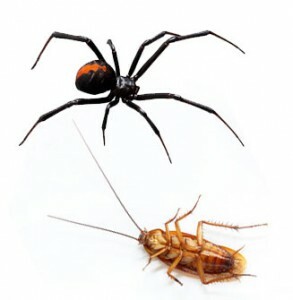 We will provide cost effective solution for your residential pest control needs – treat, remove and prevent cockroaches, termites, spiders, bed bugs… from entering your property. All chemicals are applied with extreme care and carried out in accordance with manufacturers label direction and appropriate codes of practice. All chemicals comply with Australian standards! Nobody likes to be in the company of pests. We all wish for a home that is pest free without any sign of unwanted organisms. These tiny creatures can cause trouble in terms of creating health problems and other issues. 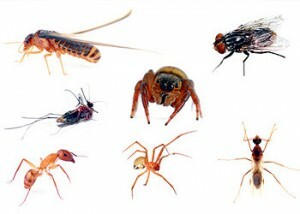 In order to get rid of these pests, you must go ahead and get in touch with Dinno’s Carpet Cleaning and Pest Control. We provide cost-effective solutions for your residential and commercial pest control needs. Our team of professionals makes it a point to provide fool-proof treatment for cockroaches, termites, spiders, bed bugs and tiny insects. The trained professionals at Dinno’s Carpet Cleaning and Pest Control make sure that no such element enters your house or office. These workers also take care of the fact that chemicals are applied with extreme care and carried out in accordance with safety standards. Also, the chemicals used in treating these pests are compliant to Australian quality standards. There will not be any harm caused to humans while the treatment is going on. Once the treatment gets over, you will be very soon feeling the fresh air in your home and it will seem as good as new. In case you are thinking about the prices charged by our pest control services in Brisbane, you don’t have to worry at all. The prices are kept affordable by Dinno’s Carpet Cleaning and Pest Control. Moreover, client will never be bothered about prices because of the quality and outstanding services provided by the staff. All those who wish to make bookings at the earliest, can get in touch with us directly or connect online. The website of the company will help you in getting every minor detail regarding the entire process of pest cleaning and how everything will be conducted. 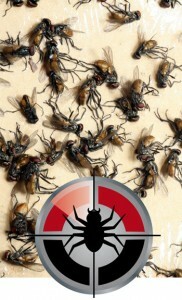 Now is the time to get rid of unwanted pests and insects from your home and office. Get in touch with Dinno’s Carpet Cleaning and Pest Control and resolve the pest related issues in your home and office. Feel free to contct us for Pest control services in logan, Ipswich, Slacks Creek, Shailer Park, Beenleigh.